Previously on this Review, 18 separate examples of hypocrisy on the part of Glenn Beck have been documented. On his website and on the air, Beck has been playing a tape that is supposedly from a conference at Pace University. In the following clip pay attention to evidence that this audio recording is authentic or not. 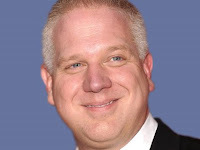 From Beck's reaction, one would believe that Glenn Beck has never expressed similar ideas about collapsing the economy, but that is not the case as documented below by the liberal media watchdog organization, Media Matters for America. Beck is referring to the kind of thinking and planning heard on the tape as "economic terrorism," but that is fraudulent analysis. What is being discussed, if it is authentic, is economic sabotage. If this is what was said at the conference, then the speakers were radical, not reformers or reformers (liberals). Beck often attacks Media Matters as part of his stage performances because they are in the business of demonstrating that Beck's claims are often, not always, false. In the following press release, they show that Beck has expressed very similar ideas about collapsing the economy making the exaggerated fear-mongering over this tape another example of hypocrisy, the 19th documented here over the last 10 months. Beck Freaks Out About People Who Advocate "Collaps[ing] The System"
Glenn Beck has presented audio of a speaker at a conference as evidence of a plot to commit "economic terrorism" by "collaps[ing] the system." However, Beck himself has said that our economic "system" "needs to be taken down, and then we rebuild it back up," and that "this system will never work" and that we should "[l]et it come down and retool." Beck Warns About People "Collaps[ing] The System"
BECK: Now, what they will do is, they will cause these scare tactics, and they will force the banks -- according to this plan outline, you'll see it at TheBlaze.com -- they will force the banks to refinance all of the state loans, all of the county. And the banks will not be able to do it. And he says that's the plan -- to bring them to the edge of financial collapse, because if we can cause enough chaos, if we can bring them to the edge of financial collapse, we can collapse the system and we can cause another financial crisis. But Beck Himself Has Repeatedly Said Our Economic "System" Needs To Be "Taken Down"
BECK: Your range of possibilities are, this is a recession that we're in right now, and it's going to turn around, and all of these things are going to fix it, and we're gonna be able to grow out of this massive debt. That's a possibility. I think the odds of that are unbelievably slim. I mean, it's not even worth -- for me, it's not even worth considering. But it might -- that might happen. It's on the scale of possibilities. The next is, this is as good as it gets for a while, and it's going to just slowly drift kind of down over the next few years, but this is kind of where we're at. I think that's a possibility, but I don't think that lasts long. I think we're going to have times where it goes up, and then it comes back down, and goes back up, and then comes back down. But there is a point to where it will dawn on people, you know, in the banking sector, in the central banks around the world, in the people who loan us money that it is unsustainable, and it will change, and change rapidly. BECK: There is a -- to everything, there is a season. This is the season for awakening. This is not the season for playing -- why are we depending on the same things that got us here? We're depending on parties. We're depending on the ballot box. We must be engaged in the ballot box. We must be engaged in politics. We must be engaged in watching our courts. We must be standing up for these things. But that is not the answer. That is not the answer. Look at what we do every time. We treat the symptom. We've got to stop treating the symptom. We're taking aspirin. We're hemorrhaging. We're hemorrhaging. And we're treating that gash in the side of our neck or on our -- on an artery as if it's a flesh wound: "Here, let me put some Bactracin [sic] on it. Here, let me just put a Band-Aid on it. Take some aspirin." We're hemorrhaging. We have cut an artery. We've got to go in and do the hard things. And that's on spending. We must do the hard things. And God bless you, America. God bless America. For 21 straight months -- 21 straight months -- you have lowered your debt. Now, the government doesn't like that because you're not spending money. And again for this system to work, you've got to spend money. But I'm telling you this system will never work. We're only delaying our death. Let it do what Coolidge did. Let it come down and retool. It led to the Roaring '20s. Cut it. I understand. We -- are you telling me that we are less of the people than we were? And maybe the answer to this is yes. I don't think so. But are we less of the people than we were in 1920? Are we less of the people than we were in 1865? Are we less of the people than we were in 1776, 1791? Are we less American? Only if we choose to be. BECK: Now, here's the real choice. The real choice is we can continue to buy these lies -- from the Republicans and the Democrats, because this is what I was looking for from George W. Bush, and he never did. Or you can listen to an adult, again what I was expecting. You can listen to an adult and have an adult tell you, "We're in trouble, gang. We are in real, deep trouble." And the longer we wait, the worse and the longer the recovery period is. If you take the pain, like we did in 1921, '22, you will create a period of real prosperity. But it -- what happens is, you're going to go through a tough time first as the economy changes over. And we need to do that. We need to have that bottoming-out period, and then change us over. Let -- free up the entrepreneur, and they will create wealth. But the longer we wait, the more businesses we drive out of this country, so the wealth is gone of -- the uber-wealth will be gone. The great minds will be gone. The American people will become trapped, because there will be no infrastructure left, because everything will go overseas. The medium amounts of money, the merely rich in this country, will lose their money, because their money will be confiscated from them by the federal government. It will be taken in higher and higher taxes. And so your entrepreneurs will be killed. All of the good ones, all of the big ones -- they'll go someplace else. They'll all go to Asia.